GroundScape, a Fort Worth LandScape Company Installed a Concrete Patio and then Stained it and Scored it into squares. This adds character to a concrete slab and gives it dimension. There are many colors and patterns available to dress up any concrete slab. 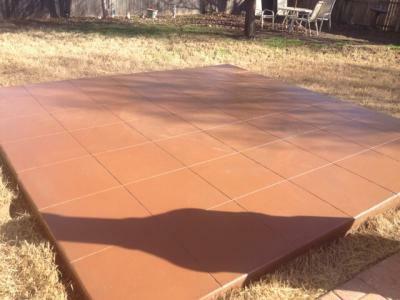 If you are interested in having a patio installed please contact GroundScape at www.groundscape.com or 817-759-0102 and we will schedule a time for a rep to meet with you. GroundScape is fully insured with many references. Thanks! !